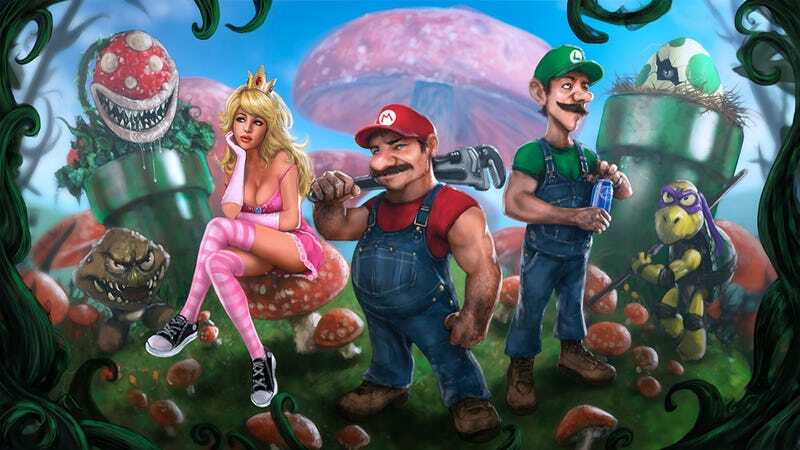 Mario &amp; Co. in Wonderland, which is a bit darker than the Mushroom Kingdom. Mario & Co. in Wonderland, which is a bit darker than the Mushroom Kingdom. And the best part of DeviantART user SkribbliX's fan art? No, not the edgy princess or the evil Goombas, but the Donatello Koopa!